Setting out to observe a 3 P.M. sunset, in all its glory, is actually significantly more challenging than one would ever expect. 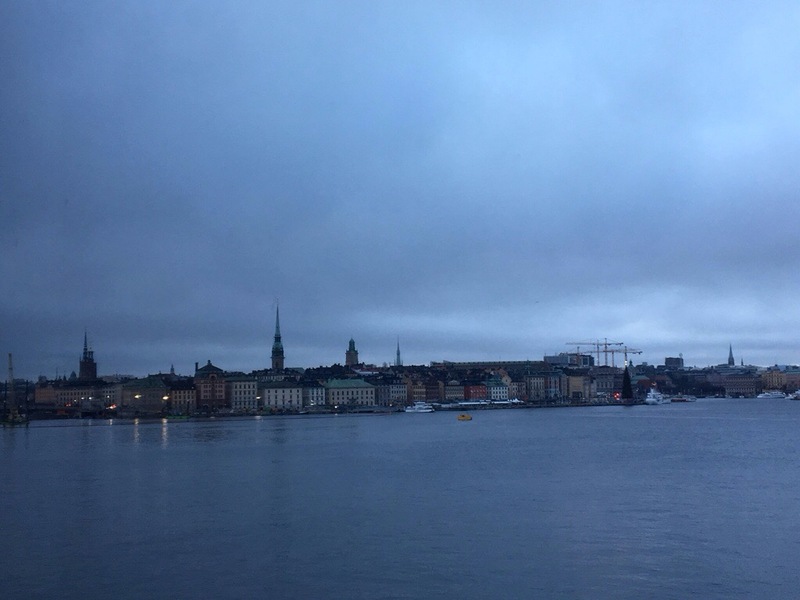 Spending four days in Stockholm, I came to the realization that anywhere one would go in November or December where the sun sets this early is likely to be quite cloudy. While the sun did slip below the horizon right around 3, and the sky became pitch black before 4, each afternoon the sky pretty much appeared like this. There was no observation of the sun dipping below the horizon at 3 P.M., just a gray day fading gradually into nighttime. Not only did 4 P.M. feel different here than anywhere I had ever lived, so did 8 P.M. Rather than feeling like the time the night was just beginning, when people were prepping up for their evening activities, getting ready, texting friends, etc., it felt like a lot later. I am not sure if this was 100% due to the fact that it had already been dark over four hours, or if it is due to cultural differences (when people leave work, etc.). However, at 8 P.M., it definitely felt like the “night”, whatever that entails, had been going on for some time and was approaching maturity. 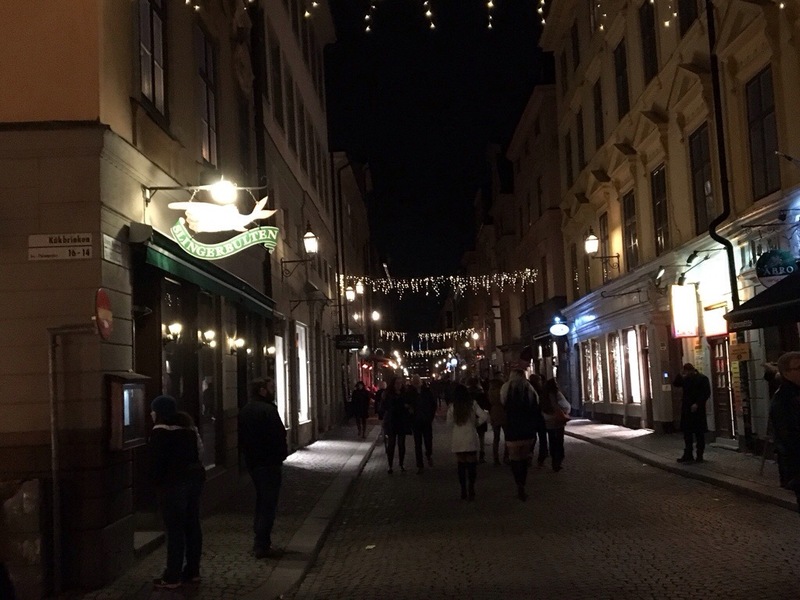 Stockholm is a city that parties pretty hard on Friday and Saturday evenings. 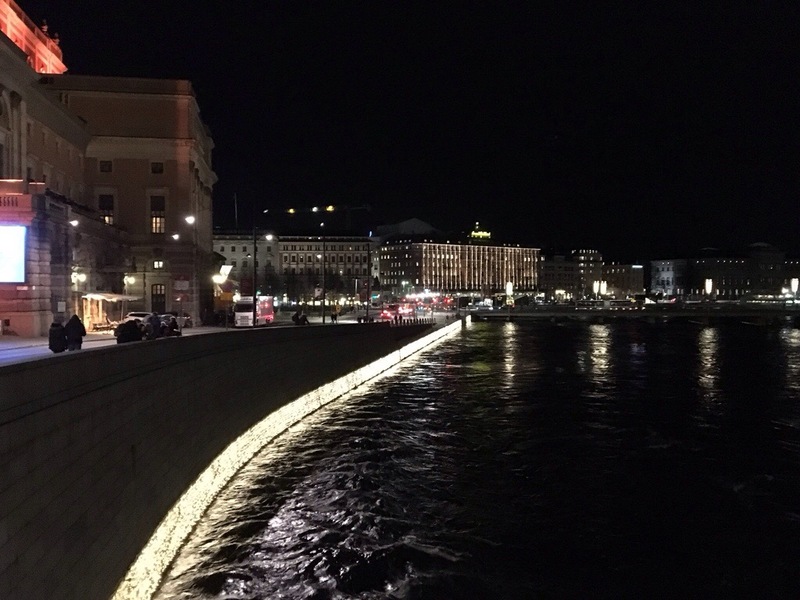 Both evenings, in the area in and around the city center, including the areas around Central Station, and the Islands of Gamla Stan and Södermalm, there were plenty of people who were already quite intoxicated by 8 or 9 in the evening. This is one of several cultural observations I made while in Stockholm. Of course there are ways to learn about the culture of a country or a region from afar. Travel books and other essays provide convenient cultural guides to places. Popular culture, music, movies, shows and such, also give people from afar a window into the culture of a place. However, I do notice time and time again, that there is no real substitute for actually going to a place and experiencing it for oneself. 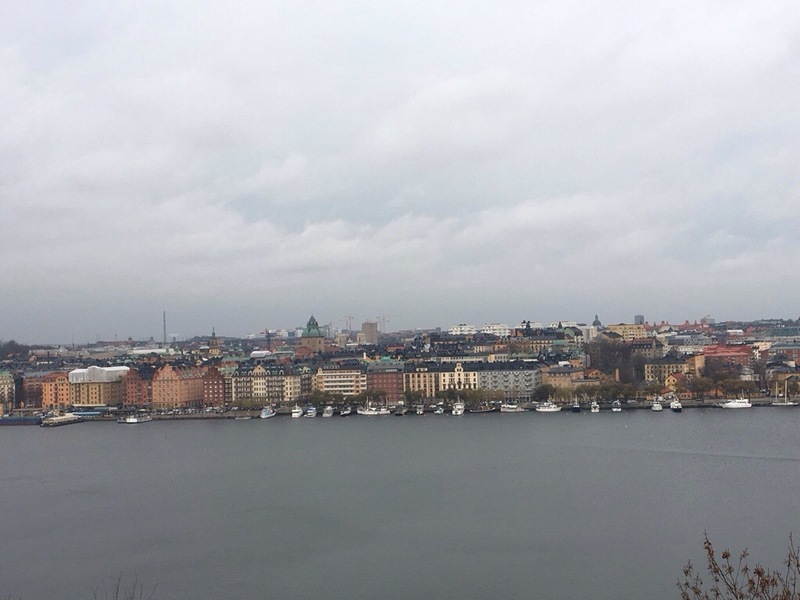 For example, one of the things I noticed about Stockholm, the entire time there, was that people walk fast. It’s almost like the way it is in New York, and other large cities. This is a prefect example of something needed to be experienced in person. While it is possible for someone to write, in a cultural guide or video, that people walk fast in a certain city, what that means can only be truly understood when experienced. The same can be said for New York. Also, with the exception of New York, a city that seems to take pride in its high paced walking, it is easy to imagine a quick reference cultural guide which may focus on things like tipping or train etiquette, to not mention something like this. After all, did I really need to know how fast people in Stockholm walk prior to coming here? I benefited more from reading about how Scandinavians dress. The casual sneakers, jeans and sweaters I wore all week did not stand out. In fact, I may have fit in too well. Despite the fact that people here are mostly fluent in English, most addressed me in Sweedish before I had to ask them to speak English to me. Food is a significant component of any cultural experience. There is a reason why food makes a natural topic for travel shows. I couldn’t picture actually trying to experience the culture of a given place without trying the local food. I made sure I got the full Sweedish food experience, including the Skagenröra (shrimp salad), salmon, and various other fish dishes (Stockholm is a bunch of islands after all). However, I was surprised at how good their grilled sandwiches were. Specifically, many places throughout Stockholm serve various types of grilled sandwiches, all with some kind of cheese. Many of these sandwich did not include fish or seafood. Some were even vegetarian. They do an excellent job of melting the cheese on the rye bread, and this serves as a great lunch option for various types of people (as in, not everyone eats meat, seafood, etc.). As an American, traveling abroad to places like this, it is hard for me not to feel at least a little bit guilty. American culture is harder to escape than I ever realized. Stockholm does have fast food as well. Most of it comes in the form of stands, similar to the hot dog stands found on the streets of New York. Given that most of the food in Stockholm is pretty expensive, it is almost necessary to have a couple of meals at one of those stands on any multi-day trip here, so as not to bust a budget. This was, however, the only place I encountered someone who did not speak English. I also saw McDonalds and Burger King all over town. However, these establishments are at least somewhat different abroad than they are in the United States. Perhaps my biggest disappointment was that I was unable to escape the tradition known as “Black Friday”. I was hoping, by virtue of not being in America, where thanksgiving is not a holiday, I would also not experience Black Friday. Well, apparently people do that here too. Maybe they don’t in less touristy parts of a country like Sweden. Maybe I needed to go somewhere with less tourists, and, also less people who speak English, to experience the actual culture of Sweden. How much can anyone get to know about the culture of another country by visiting for just a short time? And not venturing outside of the City? I can see how a tourist can come to believe they have learned quite a bit about the culture of Sweden, or any place they chose to visit, by making an set of observations like these. To me, my set of observations almost feels like how someone from abroad would judge the United States by simply spending several days in New York, our biggest city. The rest of the country i likely significantly different, in terms of pace of life, and how much they embrace ideas like Black Friday. However, just like the foreign tourist in New York, I did experience some things different from what I usually experience at home. 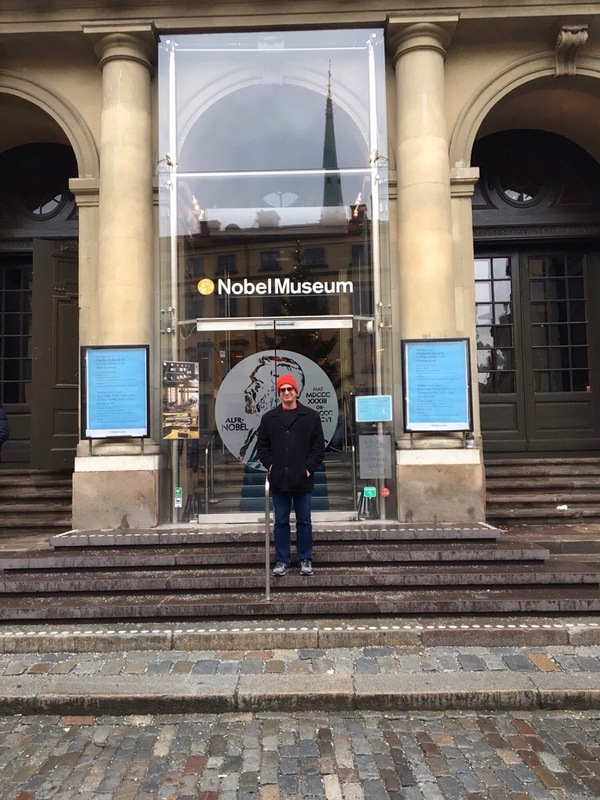 This entry was posted in culture, holidays, resturaunts, Sweden, vacations and tagged culture, stockholm, Sweden, travel on November 28, 2017 by Stephen Jaye. Most of the time, when we travel, we are touring. We are visiting places. We are going to specific destinations. We are seeing landmarks, or specific points of interest. Or we are going somewhere to take part in a certain event or activity. Sometimes, we will speculate as to what it is like to live in a specific area. Maybe we will even interact with some locals, and ask some questions. But, even then, in a way, we are still touring. We are getting some amount of information regarding what day-to-day life is like, but we are really only getting a snapshot of a specific point in time, and some verbal information about what may make that point different from typical day-to-day experience. Sometimes, when we travel specifically to visit people, people we know, we get a little more of a window into what life is like in a different place. For me, a metropolitan person, who has always lived in a city or suburban area, most of these kinds of trips involve traveling to a different city, or a suburb of a different city. While each city, metropolitan area, and region are unique from one another, there are still some basic similarities. I have a clear understanding of the differences between life in New York, Houston, Denver etc. But, I also understand that there are many similarities that make life in all those places distinct from life in a more sparsely populated area. Nederland, Colorado is not too far from home for me. Nor is it your typical small town U.S.A. Positioned along the scenic Peak to Peak Highway, at 8200 feet elevation, and only about 40 minutes West of Boulder, it falls into the category of one of those quirky types of small towns. This weekend turned out to be a unique experience for me. Sometimes when we visit people, we don’t really experience their typical life. There’s a specific event, or destination, and, in a way we all become tourists. This weekend, that did not happen. I ended up genuinely feeling as if I had spent some time in the day-to-day life those that live here! The first, and most obvious difference living here is how we get around. To me, getting anywhere, whether it be between neighborhoods or to the center of town, involved what resembled a short hike to me. There was no driving, Ubers, light rail, or busses, just walking along a series of trails that felt, and also typically smelled as if I were on a camping trip. I also began to notice, and even feel, a difference in energy. Things feel calmer, less urgent, less competitive. This, of course, is both good and bad. The good is the ability to relax, not feel like you are competing with everyone you see, and take time to enjoy some of the things around you. The flip side is that lines move slower, people move slower, and most things take a little longer. Even while enjoying the reprieve from the stress of everyday life, I recognized that, given that I wish Denver were faster moving than it is, I could never permanently move to a place like this. I did however, fully immerse myself in the experience while I was here. The strangest thing that happened was finally getting a good understanding of a different perspective on a common conflict. The center of town was packed with what many people refer to as “leafers”. These are people who drive from the city to some nearby forested area to see fall colors. Living in Denver, I am technically one of them, as I had been nearly every year. Immersed in the Nederland experience, I experienced this from the other side. Feeling the frustration of people dealing with things they don’t normally have to deal with, like waiting for a table at their favorite restaurant, traffic jammed up on all of the main roads, and a significant number of people in the lake, I began to understand why people who live in places like this don’t immediately calculate the benefits of tourism on their local economy on days like this. This month, and for the remainder of 2016, one of my goals is to try harder to see things from the perspective of others. I just feel like a lot of things in my life, whether it be putting together a presentation with specific audience in mind, or interactions with people, will go a lot more smoothly if I genuinely make an effort to understand them from the perspective of others. Travel has, once again, taught me a valuable lesson. To fully immerse myself in this experience, I had to, in a way, let go, of what I know, what I expect, and even what I want. If more of us, both in our travels, and in our day-to-day lives were to approach people, experiences, and issues, with much of this pre-concpetion taken out of our minds, we would likely have a more positive impact on the lives of one another. This doesn’t necessarily mean giving up on what we believe in, especially strongly held conviction. It means taking them out of our mind, for at the very least a few minutes, to hear what others have to say, and feel what others feel. This entry was posted in Colorado, fall colors, lifestyles, personal habbits, relationships/friendships, self improvement, sociology and tagged Colorado, culture, fall colors, leafing, lifestyles, Nederland, Peak-to-Peak Highway, personal habits, self improvement on October 5, 2016 by Stephen Jaye. It’s 8 AM on a Thursday morning in Reykjavik, Iceland’s Capitol and largest City. The sun has yet to come up, as this far north (64 degrees latitude) days are still quite short in the middle part of February. A quiet dawn persists over the town for nearly two hours, from 8 to about 10. A couple of local teenagers are hanging outside the grocery store. A group of tourists can be seen hanging outside one of the few restaurants that are open. Otherwise, the streets are quite empty, and the shops are mostly closed. It’s odd because, in many most major cities, 8:00 is the peak of what is often referred to as “rush hour”. It is a time of people hurrying to and from train stations, and crowding highways trying to get to work. Even in the more touristy sections of cities, which this most certainly is, a lot of motion can still be found at this hour. At places like Chicago’s Michigan Avenue, and New York’s Time Square, which are utterly packed with tourists nearly every day, there are still plenty of people to be found at 8:00 on a weekday morning, mostly people headed into work. Here, that culture just does not seem to exist. Are all the office jobs elsewhere? Do people have office jobs? Do they work different hours? Or is the economy so heavy on tourism and fishing that there is just no point in being awake at an hour when all the tourists are likely still asleep and the sun is not out? By noon, things start to pick up. On some days, the sun comes out and hits the harbor. At this latitude, when it hits the harbor, it hits it in a way that seems to highlight every single feature, from the boats in the harbor to the snowy mountains on the other side. From the perspective of someone that has always lived in the mid-latitudes, is feels neither like mid-day nor twilight. It is a different feeling altogether, and those who take a pause from their tourist itinerary and truly soak up the moment are reminded as to why it is worthwhile to visit different places in the first place; to see something, experience something, do something that cannot be done at home. The day progresses. Tourists fill streets whose names are too intimidating to even try to pronounce, make their way into the bars, the restaurants, and the dozens of souvenir stores that feature a gigantic stuffed puffin in the window. The weather inevitably changes- but, well it doesn’t. There is this saying, “if you don’t like the weather, wait 5 minutes, it will change.” Anyone that travels on a regular basis to places outside the tropics has most likely heard the phrase too many times to count. It is used here. At souvenir shops, mugs and shirts about Iceland sport the phrase. And, it is true to some extent. At any moment, it can turn from sunny to cloudy, or suddenly get windy. But, the temperature does not vary too much. On a four day trip to Iceland, the temperature, including daytime and nighttime, seemed to only vary between a few degrees below freezing and a few degrees above freezing. Regardless of these changes, winter in Iceland is consistently cold and damp. For this reason, one of the most popular items made in all of Iceland are wool sweaters. While any visitor to Reykjavik can find these sweaters for sale all over town, the best deals on them are found at the Kolaportid Flea Market. Even at the Flea Market, though, they can be quite expensive, the equivalent of roughly $100. Money talks, and it is easy to figure out what a certain culture values by seeing what they are willing to spend money on. Coloradans are willing to spend thousands of dollars annually on ski equipment. Icelanders are willing to spend money on a warm wool sweater. Reykjavik’s population is only just over 200,000 people. In fact, the population of all of Iceland is 330,000- significantly less than every borough of New York City, even Staten Island. Yet, it is a place that knows how to party! The nightlife is surprisingly good- probably better than many towns 2-3 times its size! Making up for the lack of action at 9 in the morning, festivals, shows, and clubs give locals and tourists alike plenty to do in the nighttime hours. Iceland has been promoting tourism quite hard since the economic collapse of 2008, which hit Iceland particularly hard. Iceland Air has been particularly active in promoting tourism, by adding direct flights to more places in both Europe and North America, possibly with the goal of becoming a preferred airport for making connections while traveling between Europe and North America. Looking at this map, it is hard not to imagine an executive with Iceland Air looking at at map, possibly even Risk the board game, and thinking of this grand plan to become a connecting point between the continents. Well, it’s working. Recently, more people talk about Reykjavik being their favorite place to make flight connections, and more and more people seem to have visited Iceland. At this point, in Reykjavik, it is probably impossible for locals and tourists not to interact with one another in some way, especially at clubs and shows. After hours of partying, all of a sudden it is 4 AM. Many clubs still have lines to get in! At 5 AM, on the streets, music can still be heard coming from multiple directions. In fact, by this hour, it almost becomes easier to find a place to eat than it was at 9 AM on Thursday morning. Sometime in the next few hours, the blurry memory of a fun filled night fades into the next morning, likely to be delayed through at least part of that lengthy twilight period. In my particular case, it faded into the realization that it is now noon, and Millions of New Yorkers (where the local time is 7 A.M.), despite the time difference, have woken up before me on the other side of the Atlantic! I only spent four days in Iceland. I do not know the full extent of life in this nearly arctic city of Reykjavik. I only know what I experience in this short period of time, where I did the best I could to experience the local culture. Regardless, it does appear quite different from any place I have ever been. This entry was posted in cities, Festivals, Iceland, lifestyles, local culture, nightlife, tourism and tagged culture, Iceland, nightlife, Reykjavik, tourism, weather on February 22, 2016 by Stephen Jaye.